Please take the time and watch Before the Flood – the documentary about global warming. Leonardo DiCaprio himself devoted a lot of time and effort into the making of it. Moreover, he did it for free. It shows you the big picture, the actual consequences of global warming that can already be seen and the ignorance of some politicians. We don’t have much time to spare. We must all take actions to change our ways and do all we can to help spread the awareness. Parents, show this film to your children, teachers show it to your students. Talk to the principals to make a science day about this topic – watch the documentary, comment on it, help them understand the problem. Children can influence their parents too. It can work both ways. If we join our forces we can be stronger than any corporate organization or politician, we are the ones voting and we are the ones consuming, hence we have the power. Remember that. Don’t distance yourselves from this problem thinking there’s nothing you can do. You can and you must! Moreover, there is no escaping this problem if we don’t do what needs to be done. This might sound a bit harsh, but after watching this movie and understanding the problem of global warming and the consequences we are already facing and the potential ones we might have to face in the future, it comes down to simply asking yourself if you are a good or a bad person. Whether you are willing to change your habits and fight for this planet or you simply don’t care for it at all – which really does make you a bad person. Be among those who will change it for the better. Watch Before the Flood, share this post, spread awareness, do all that is in your power to save this planet and all its beauty. This entry was posted in Invitation and tagged Before the flood, carbon dioxide footprint, Change the world, Change your habits, spread awareness, stop global warming. I think your site is very informative and useful. I am actually studying some similar topics in my Outdoor Recreation Management classes. So I have a general idea of what your site is about and I felt Ike you had good quality information. It is good that you are promoting global awareness of our environmental issues. I think it is important to spread the word, so that the world knows more practices that we can use to ensure the longevity of our world. Necollier, thank you for sharing your thoughts with us. We do our best to provide our readers with quality information. Stay in touch. Global warming has become a massive topic nowadays but if you think about it this is the result of big company and literally every persons selfish choices. The reduction of plastic bottled goods and use of returnable glass bottles for things like milk, yogurt, cream and other dairy products. Purchasing bread from brown biodegradable paper bags rather than bread stored in plastic packets. The reduction of plastic plates for paper plates or glass crockery. It has been proven that even after 100 years plastic will not decompose and even if it does it decompose because of its chemical composition it makes the substance more harmful than helpful to the environment. Beautiful work addressing this major topic may I suggest linking several home garden improvement adverts and links to your website to profit from while spreading awareness. Thinks like Links for the purchasing of gardening equipment, Seeds, plants, and even garden furniture would be nice additions to your well setup website. You made some great points and suggestions there. Thank you for taking your time. We’ll think about the adds. 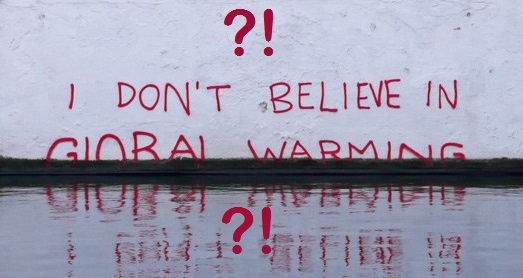 I can’t believe there are people on the Internet marketing web space dedicating their time and effort to promote awareness of global warming! I am 100% supporting your initiative here! Leonardo DiCaprio’s before the flood is on my to watch list for sure, another movie star I high respect of. We are really feeling the effect of global warming following the reduction of arctic ice and record breaking temperature. Please keep up the good work! Thank you for encouraging words, Gary. We’ll do our best to keep up the good work.